Welcome to a new issue of European Cardiology Review. This, the final issue of 2016, comprises several important review articles, a provocative guest editorial and a new contribution to our Cardiology Masters section that charts the amazing career and achievements of Dr Valentin Fuster, currently Editor-in-Chief of the Journal of the American College of Cardiology. Importantly, we are excited to launch a new section: Cardiovascular Pharmacotherapy. We present this section in collaboration with our friends and colleagues at the International Society of Cardiovascular Pharmacotherapy (ISCP). The section will be devoted to highlighting advances in the pharmacological treatment of cardiovascular disease and the development of medical devices. This section will be co-edited by the current President of the International Society of Cardiovascular Pharmacotherapy (ISCP), Professor A Martinez-Rubio and myself. 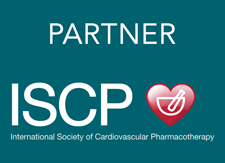 Cardiovascular Pharmacotherapy represents the starting point of important collaborative work between ECR and ISCP, aimed at promoting rational, evidence-based, patient-centered treatments and independent educational programmes in the field. 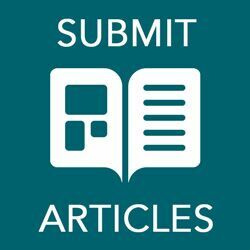 I would like to underline the importance of our review articles in this issue. Serban Balanescu discusses fractional flow reserve assessment of coronary artery stenosis and why it is the best available invasive method of physiological testing of focal lesions. Peter P Swoboda and colleagues review a rapidly evolving method for the quantitative assessment of tissue characteristics in inherited cardiomyopathies: T1 mapping. Optical coherence tomography (OCT) for the detection of the vulnerable plaque is reviewed by Konstantinos Toutouzas and colleaugues, who summarise the pathophysiological insights into the formation and rupture of vulnerable plaque that can be obtained with OCT imaging. Anne Child and colleagues provide a useful update on best practice in the cardiovascular management of adults with Marfan syndrome. I truly hope you enjoy reading this issue of European Cardiology Review and wish you all a peaceful and prosperous 2017.